- 1 x G 6/4"
+ 3 x G 5/4"
* Flange is an optional feature. 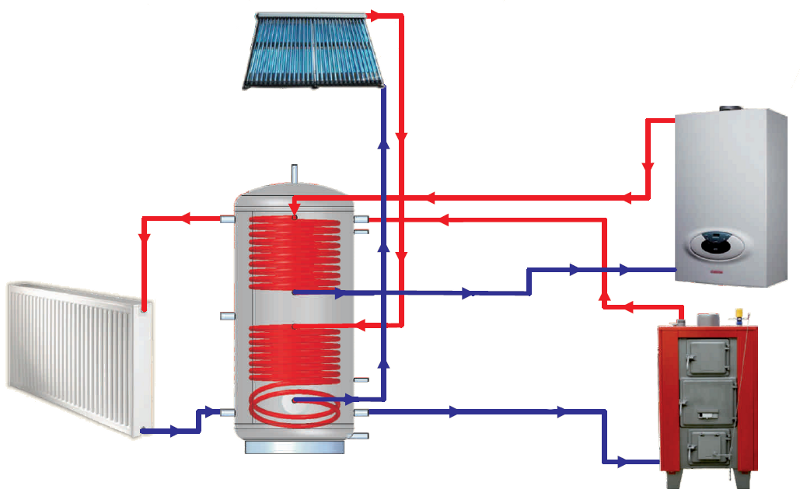 Thermal store is used for simple heating system with one direct circuit. Thermal store without exchanger is usually used for boiler or other single heating source. 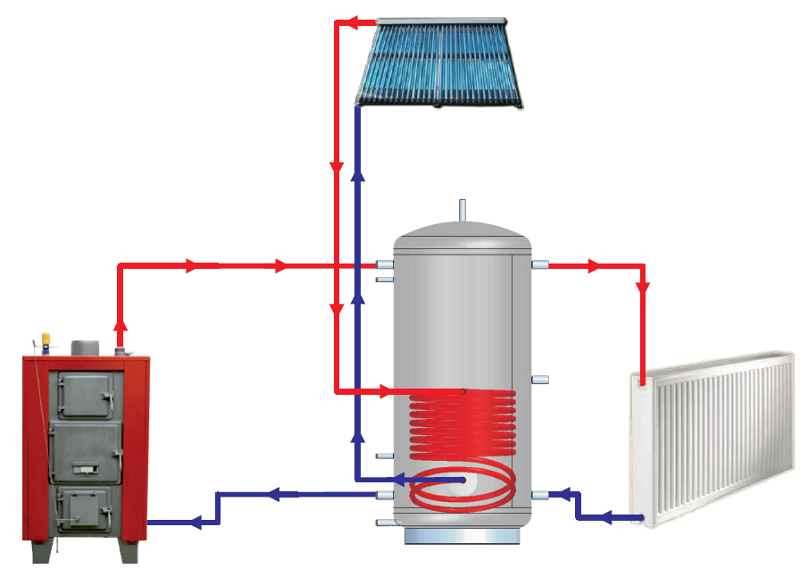 Thermal store is used for advanced heating system with two separated circuits. Thermal store with exchanger is usually used for boiler and one additional heating source. In most cases is connected to solar thermal collectors. 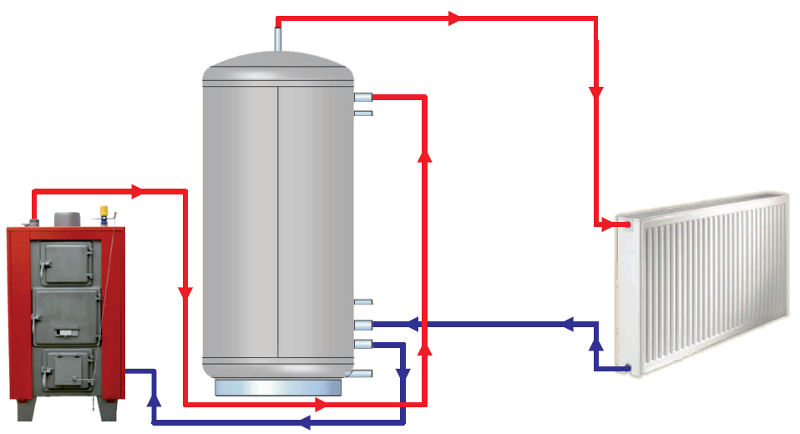 Thermal store is used for complex heating with three separated circuits. Thermal store with two exchangers is usually used for boiler and two additional heating sources. The top exchanger can be fabricated from stainless steel and used for domestic hot water.